10,000 years ago the vast majority of hunters hunted in order to survive. Today many hunters hunt just for recreation. They teach their children a complete disrespect for life by needlessly killing innocent creatures. Hunters spend billions of dollars each years on guns, ammunition, travel and other expenses, making hunting a very profitable industry. 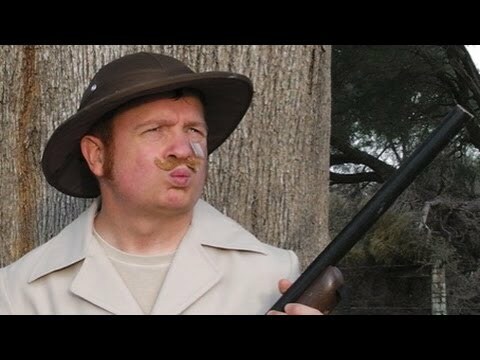 This YouTube video is from Vegan Smythe is a poke at the “sport” of hunting.